In support of the Ultimate Hawker Fest 2014 happening on 22 November 2014 at Suntec Convention and Exhibition Hall 401 & 402 from 11am to 5pm, Tian Tian Chicken Rice will be back again dishing our their fragrant and delicious Anxin (安心) Chicken Rice in support of the fund raising event for the beneficiaries under the care of Touch Community Services. You maybe wondering what is so special about these chicken? To know the answer, we have to make a trip down to Simpang Renggam Johor Bahru in Malaysia to visit Toh Thye San Farm that is breeding these special Anxin chicken and supplying it to Tian Tian Chicken Rice for the Ultimate Hawker Fest 2014. 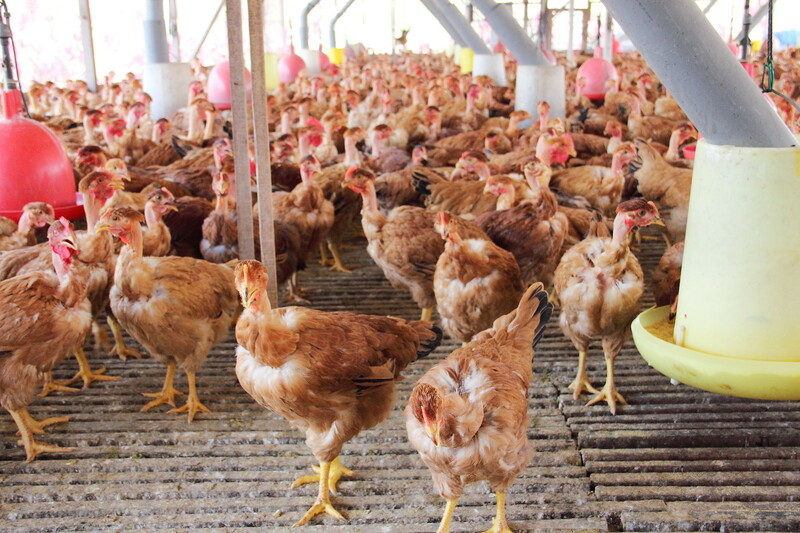 Commercial broiler chicken are usually breed for around 28-30 days before being slaughtered and served on the table. 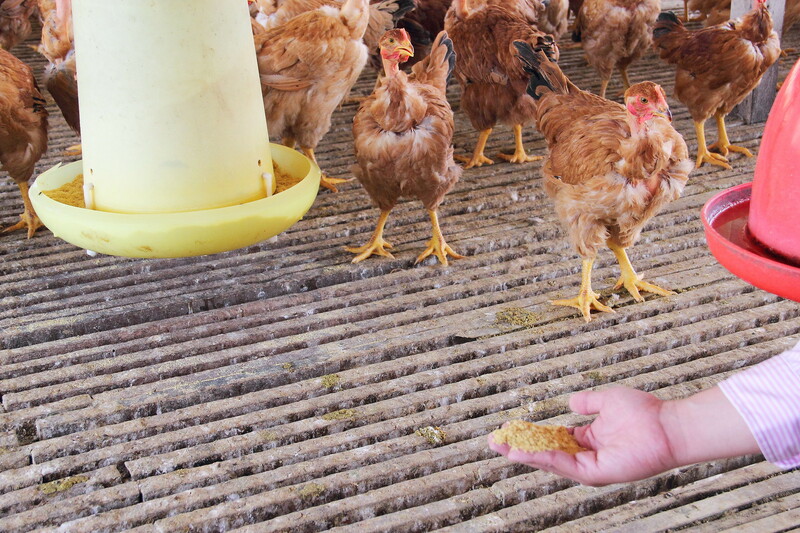 Unlike the commercial broiler, Anxin chicken came all the way from France. 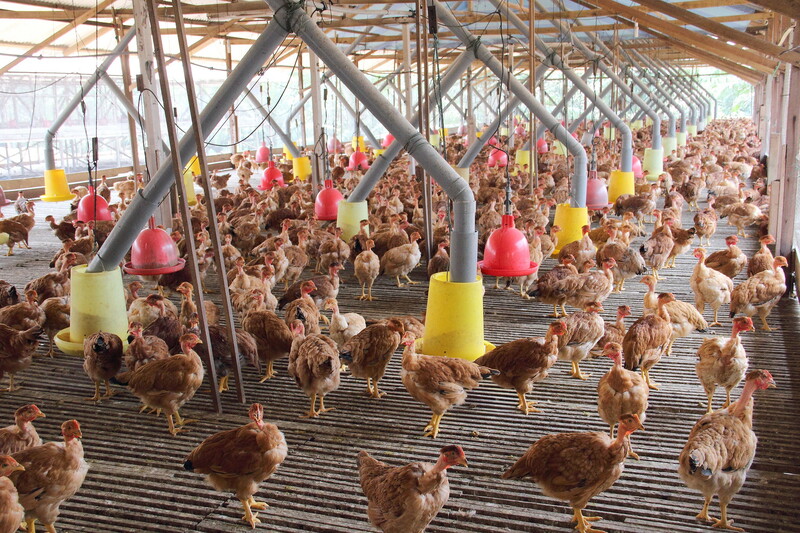 The chicken is breed in a free roaming environment and corn fed for 100 days. This is the batch of Anxin chicken that Tian Tian Chicken Rice will be using for the Ultimate Hawker Fest.These beautiful birds actually have a common characteristic. Their neck are featherless hence they are also known as Naked Neck Chicken. Even Miss Loi, the 2nd generation of Tian Tian Chicken Rice joined us in the trip to inspect her ultimate ingredients for the upcoming Ultimate Hawker Fest 2014 on 22 November 2014 at Suntec Convention and Exhibition Hall 401 & 402, 11am to 5pm. Here is a short video of our visit to Toh Thye San Farm. Toh Thye San Farm is established in 1979 in Singapore. 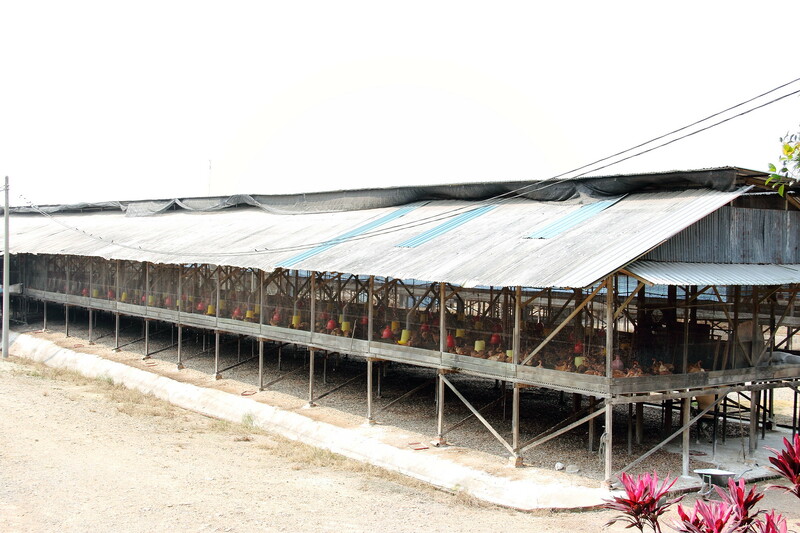 Due to circumstances, the farms have been relocated to Simpang Renggam in Johor Bahru. 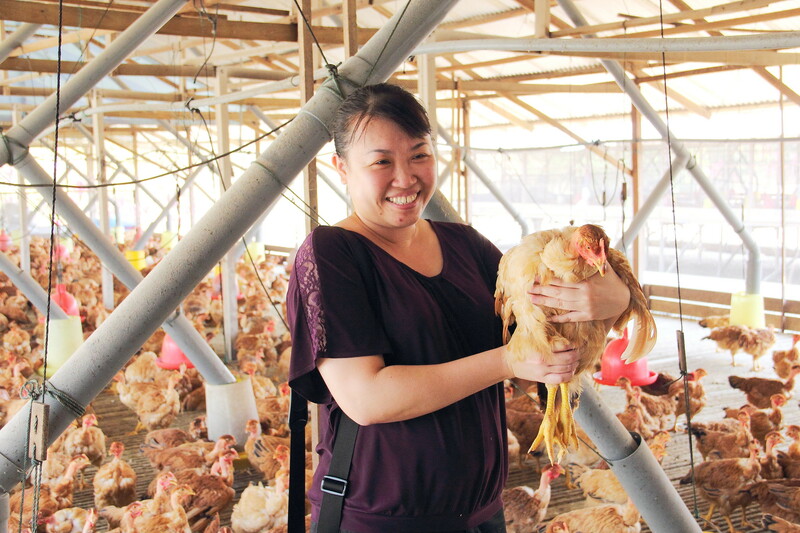 Toh Thye San Farm not only supply their chickens to Tian Tian Chicken Rice. 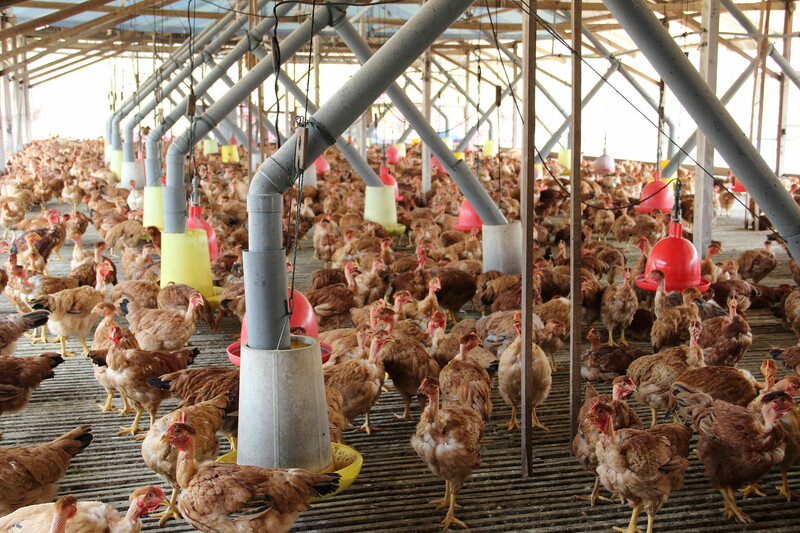 Their chicken are also used by upscale restaurants such as Gunther's Modern French Cuisine, Corner House, Bincho etc. We will be putting the commercial broiler and Anxin chicken into a taste test in my next post. If you are interested to check out for yourself how is the taste of Anxin chicken compared to commercial broiler, then do drop my Tian Tian Chicken Rice at Ultimate Hawker Fest 2014 on 22 November 2014 at Suntec Convention and Exhibition Hall 401 & 402 from 11am to 5pm.